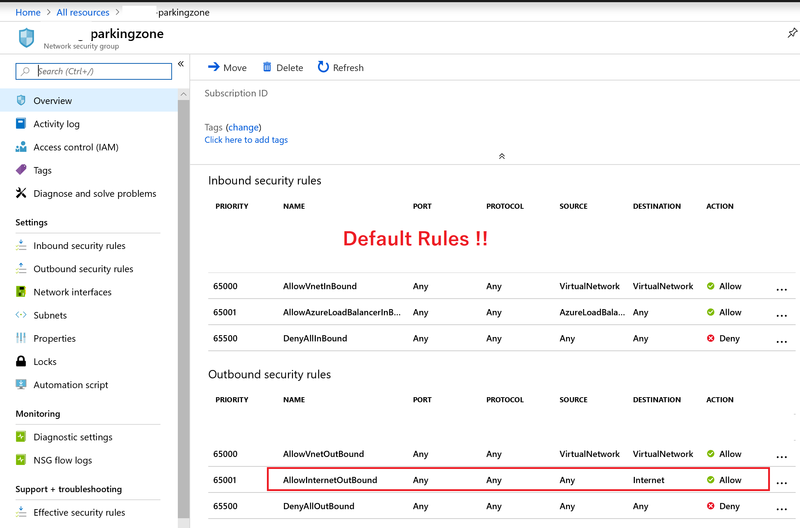 When you are implementing your Microsoft Azure Design like a HUB-Spoke model you have to deal with security of your Azure environment (Virtual Datacenter). One of them are Network Security Groups to protect your Virtual networks and make communication between Azure subnets possible in a Secure Azure Virtual Datacenter. 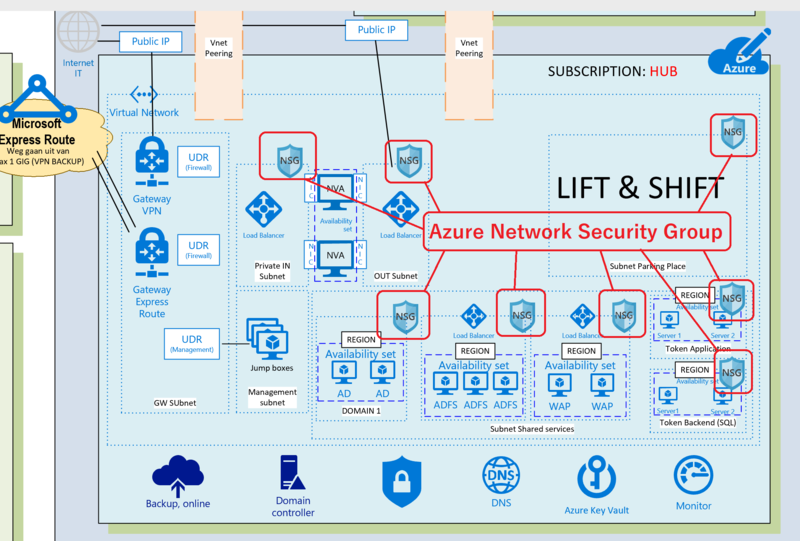 How to Manage Microsoft Azure Network Security Groups (NSG) ? IMPORTANT: Before you start with Azure Network Security Groups, test every ARM JSON Script first in your Dev-Test Azure Subscription before you do production. Talk with your Cloud Administrators, because when you implement Infrastructure as Code (IaC) and work with ARM Templates you can delete manual settings in NSG’s for example, which will give you troubles like no protocol communication between subnets. When you start new in Microsoft Azure, It’s easy to make your Azure security baseline for all of your Network Security Groups (NSG’s) by Azure Resource Manager (ARM) templates. Make your ARM Baseline template. Edit your parameters and Deploy. 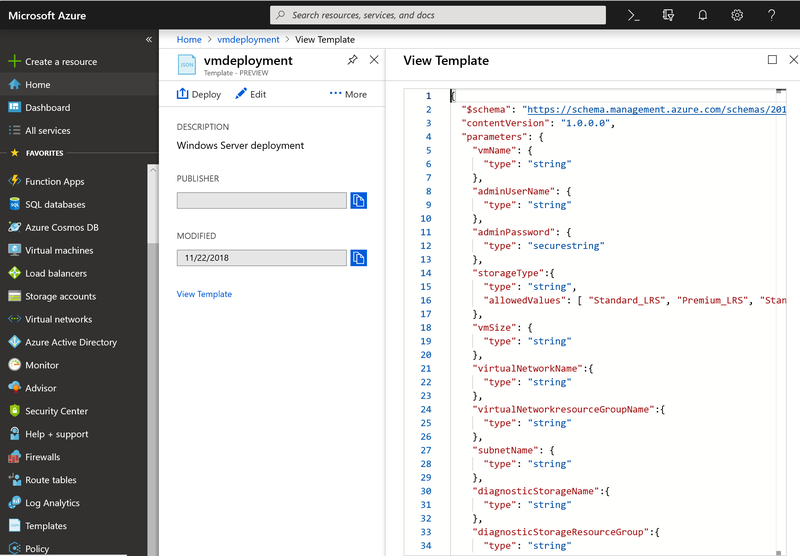 Here you saw a standard Virtual Machine Deployment, but you can add of course all of your Azure Resource Manager templates here including your NSG Base Line template. In this way your deployments are documented ( Scripts). 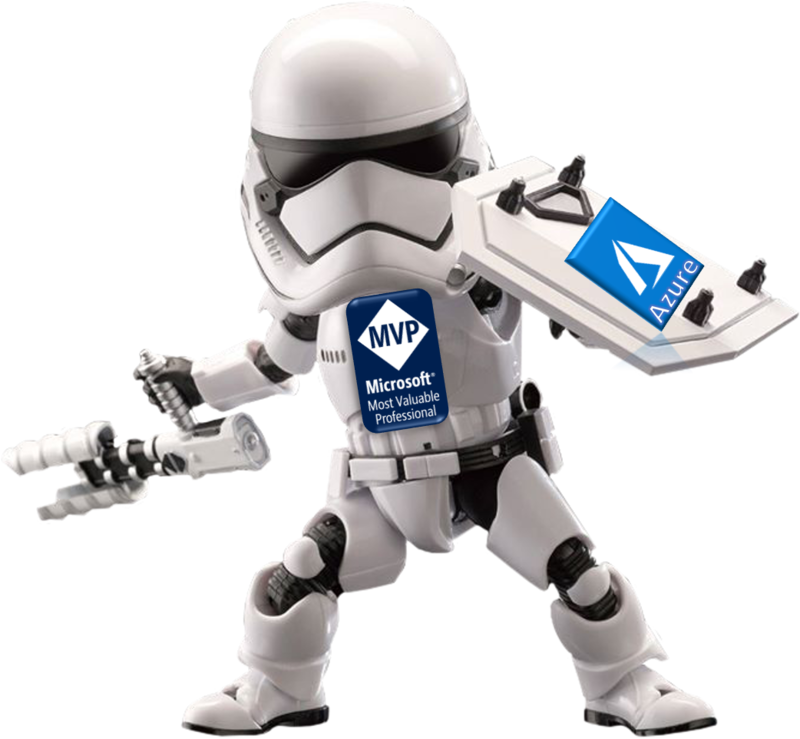 Another awesome solution is Microsoft Azure DevOps for your Deployments in Azure. 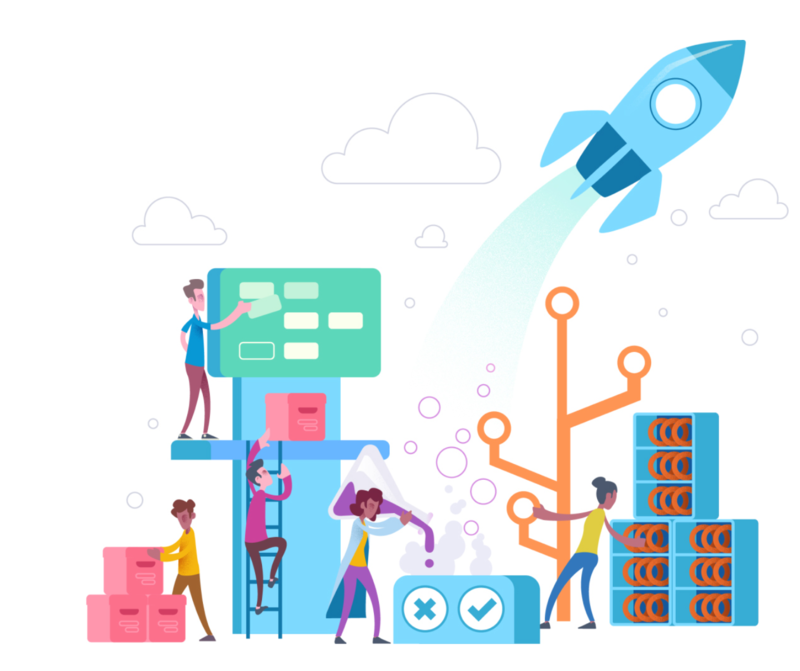 The Azure DevOps ecosystem also provides support for adding extensions and integrating with other popular services, such as: Campfire, Slack, Trello, UserVoice, and more, and developing your own custom extensions. You’ll also have access to cloud load testing, cloud build servers, and application insights. 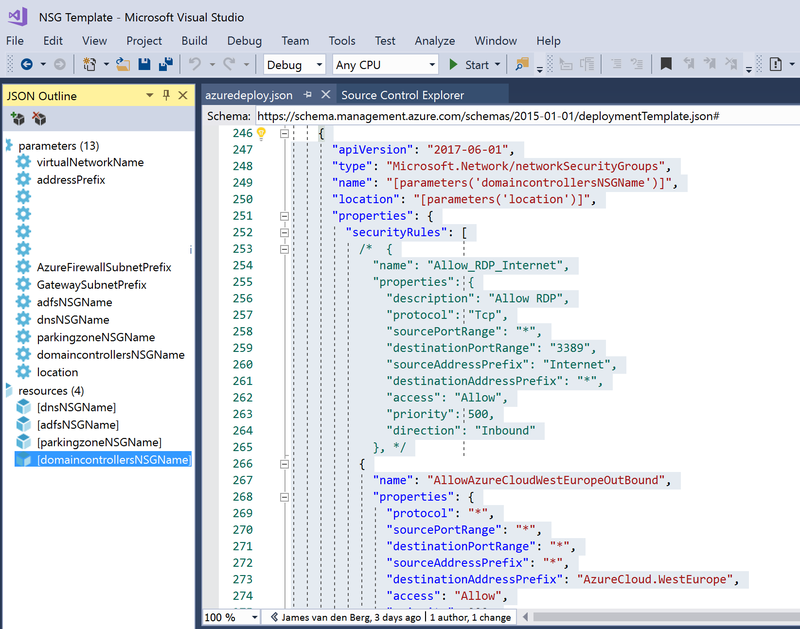 When you have your Azure DevOps Private Repository in place and you like to work with Visual Studio for example, you can connect to your Repo and Check-in your NSG ARM Script but Deploy with Visual Studio to your Azure Virtual Datacenter. 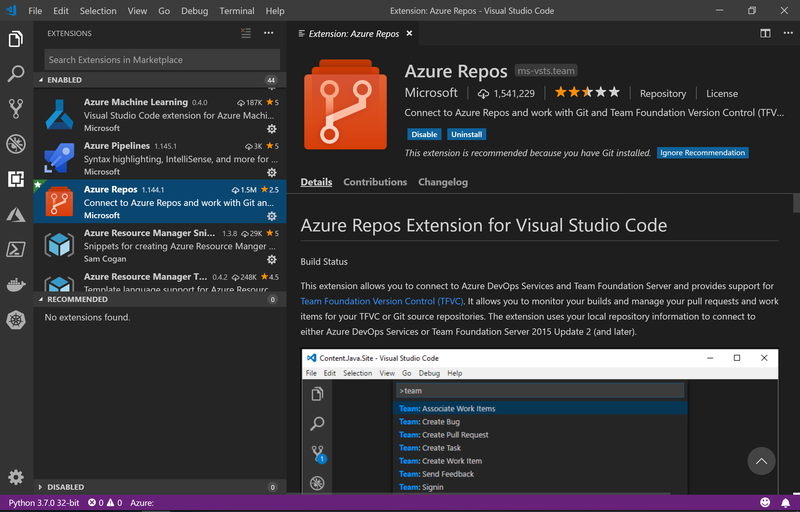 Azure DevOps Repo in Visual Studio Code. 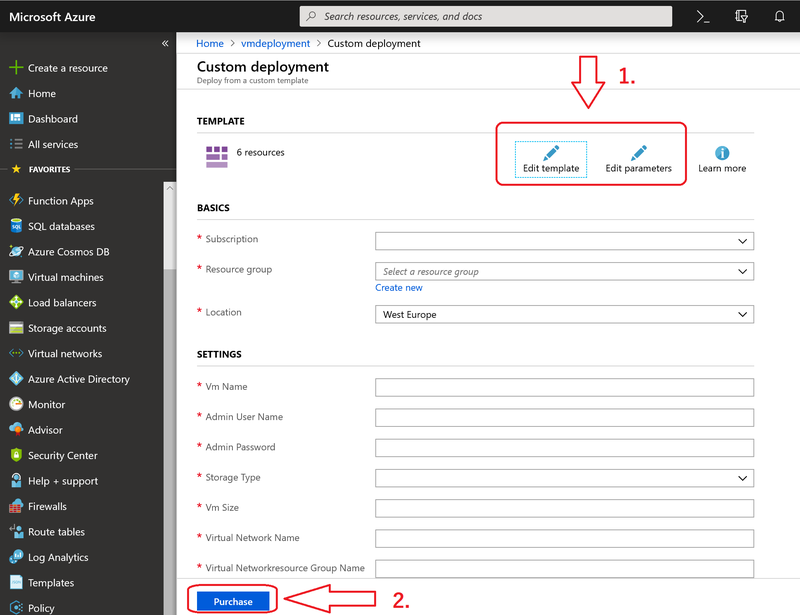 So you see there are enough ways to deploy ARM Templates and this is not all, because you can also use Azure Cloudshell for example or other CLI command-line interfaces. But now we want to set the NSG Baseline for our Azure Subscription. A good start is to see the possibilities in the JSON scripting for Network Security Groups. 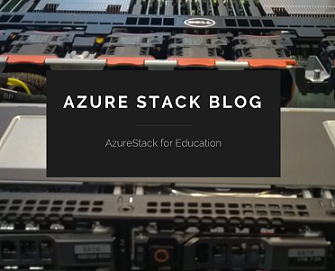 Here you find the settings and explanation of Azure Components. To create a Microsoft.Network/networkSecurityGroups resource, add the following JSON to the resources section of your template. 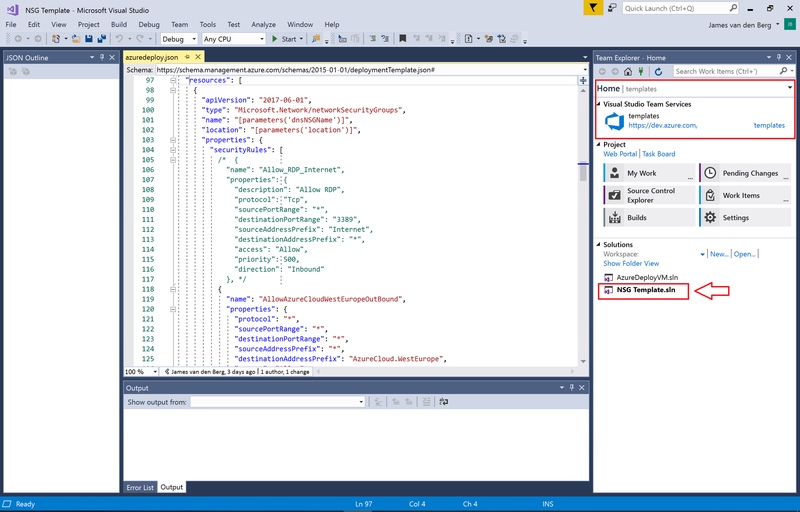 The Microsoft Azure Quick Create Templates on Github can help you to make your own NSG Template for example. By Default is Internet available in a NSG ! So here you see that Internet is not allowed only the AzureCloud West Europe resources because some Azure SDK Component work via ” Public internet” ( Microsoft IP-Addresses). Internet by Default Rules, so you must set your security Rules ! Test Always first in a Dev-Test Azure Subscription or in Azure DevOps with a Test plan before you implement in Production. 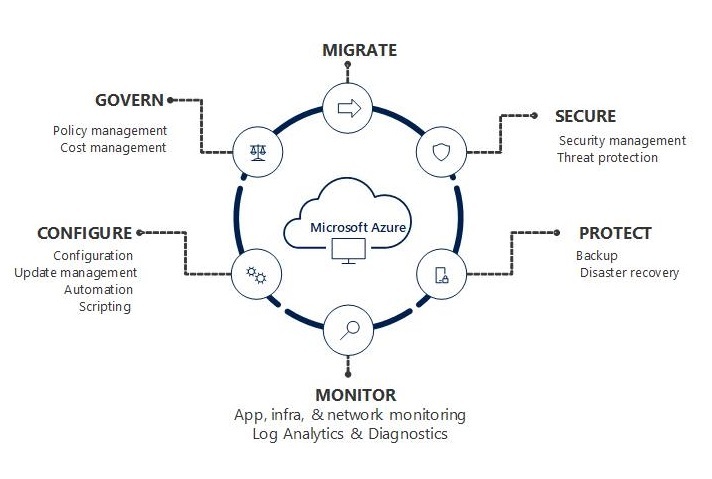 Categories: ARM, Azure, Azure AI, Azure Monitor, Azure Security, Azure Stack, AzureDevOps, Microsoft Azure, PowerShell, Windows Server 2016, Windows Server 2019, WindowsAzure | Tags: Architects, ARM, Azure, AzureDevOps, Cloud, DevOps, IaC, Microsoft, MVPBUZZ, NSG, Security, Templates, VisualStudio | Permalink.